Dr. Khan provides an array of services to his patients in Boyle Heights and around the Los Angeles area including diabetes screening and management. 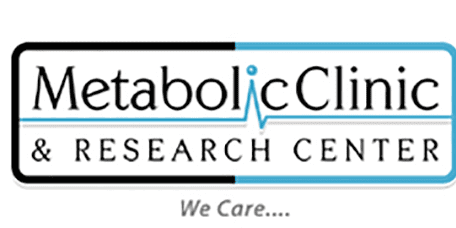 At the Metabolic Clinic & Research Center, Dr. Khan can provide advanced care tools such as blood glucose testing, insulin and oral medications, in addition to information about long-term management. Diabetes is a term used to describe a group of diseases which alter how a person’s body processes and uses sugars. Diabetics have difficulty breaking down sugars because either their bodies are lacking insulin or because they don’t use insulin correctly, and sometimes both. There are multiple types of diabetes including: type 1, type 2, and gestational diabetes. There is also prediabetes or precursory conditions which indicate that a person is in danger of developing diabetes in the near future. People with type 1 diabetes don’t produce enough insulin or their cells don’t react to insulin. Those with type 2 diabetes can occasionally control the condition by losing weight and/or adjusting their diet. Others will have to take insulin injections. Gestational diabetes occurs in pregnant women. Type 2 symptoms can be so mild that they go unnoticed. Normally diabetes is treated with lifestyle changes or insulin medication. The treatment employed will depend on the type of diabetes which is diagnosed and the severity of the symptoms. Diabetes management will be a big part of the person’s life and include monitoring of blood sugar levels. Utilizing a log of blood glucose levels during the day and how they fluctuate throughout the weeks and months is extremely helpful. People will need to check their glucose levels consistently when using insulin, if they have difficulty controlling their sugar, if pregnant, and if they have ketones in their blood as a result of high blood sugar levels. Our office can help you with diabetes diagnosis and management.